General Steel Bad Mouthing Armstrong Steel, Says Jeromy. Bad Mouthing Armstrong Steel: "I Didn’t Even Bother To Get The Quote From General Steel For That Reason." 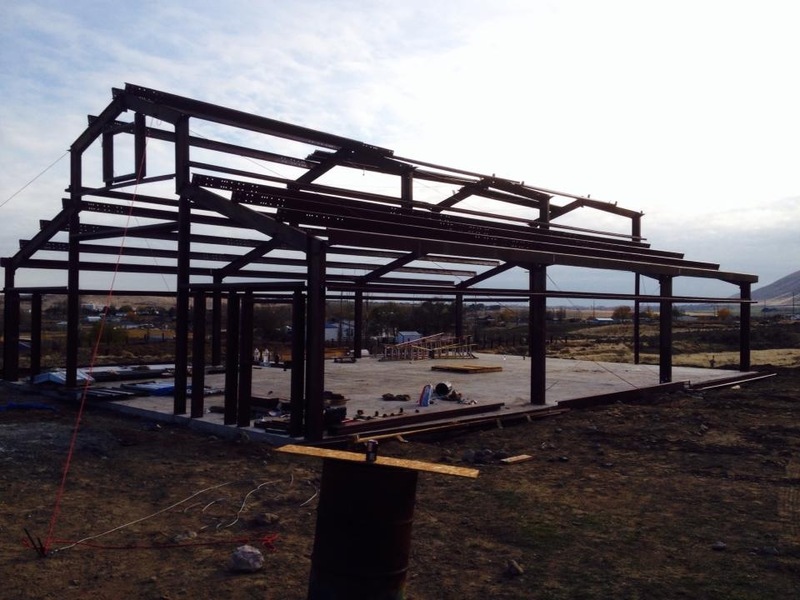 One of the great things about a steel building is, for the most part, it can be erected in a short amount of time. Sometimes, because of other reasons, it might take a customer a little longer to complete the erection process. Consider the case of Jeromy J. of Benton City, Washington. “I needed a shop to work on cars, do household projects, extra storage space, and a place for parking,” says Jeromy. “I chose a monitor style building because I really like that style, I think it’s an attractive looking building,” he says. When Jeromy decided to take the plunge and buy his dream shop he did what we encourage every customer to do, he researched options. “I didn’t have a whole lot of problems in this part of the process. Jeremy Bjork made some suggestions about doors and windows from Armstrong’s vendor,” says Jeromy J. “I told him that I wanted to buy locally. I feel more comfortable with buying from a local company and Jeremy didn’t pressure me to buy from Armstrong Steel. I thought that was pretty refreshing,” he adds. 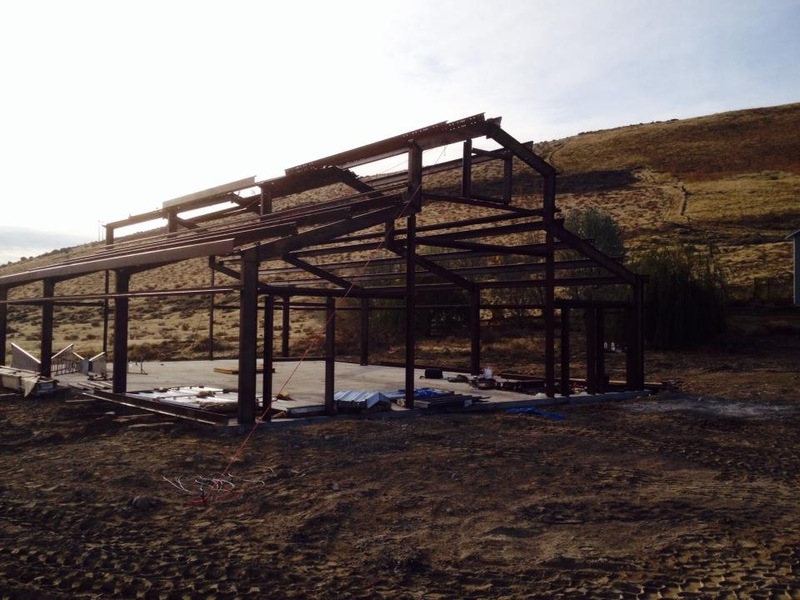 "Armstrong Steel didn't put a deadline on their help"
On March 13, 2013, Jeromy took delivery of his building and did a full inventory of the parts. “I noticed there were a few pieces missing, but I let Kitty Uhle, Armstrong’s shipping coordinator, know and she was able to get these to me real quick,” he notes. Fast forward to June of 2014, over a full year from the time Jeromy took delivery of the building. “I had some issues with the foundation, so that put me behind like 6 or 7 months.” The building sat on the ground for that period of time. “I didn’t notice until June of 2014 that I was missing some screws. I never bothered to count all the screws, I just saw them all and made a decision that they were all there.” Although common practice throughout the industry requires that a customer report any shortage of goods within 30 days of the date of delivery, a quick email to Kitty corrected the problem of the missing screws...over a year later! “Even though it’s been a slow process on my end, Armstrong hasn’t forgotten about me, they said they were going to help me through the erection process, they didn’t put a deadline on that help, and they haven’t – a year later, I can still email and call my team at Armstrong Steel and I get a call or an email back, usually within the hour, and always within a day,” he says. “While we are able to be forthcoming about all our costs and charges, we deal with trucking companies and third party shippers, and their fees we can’t control,” says Eric Beavers, COO of Armstrong Steel. “I was relieved and kind of shocked when Eric stepped in and helped me avoid that additional cost, I don’t think it’s common that a VP of a company steps in and helps a small customer like me, I was very impressed by this,” Jeromy says without hesitation. "It's looking more and more like a building now"
Once those component pieces are in place, it’s just a matter of some finishing and landscaping and then Jeromy’s dream workshop is complete. “When Armstrong said they would be my partner through this whole process, I believed them, but it’s taken a year to get as far as I am, and Armstrong hasn’t forgotten that commitment,” says Jeromy. 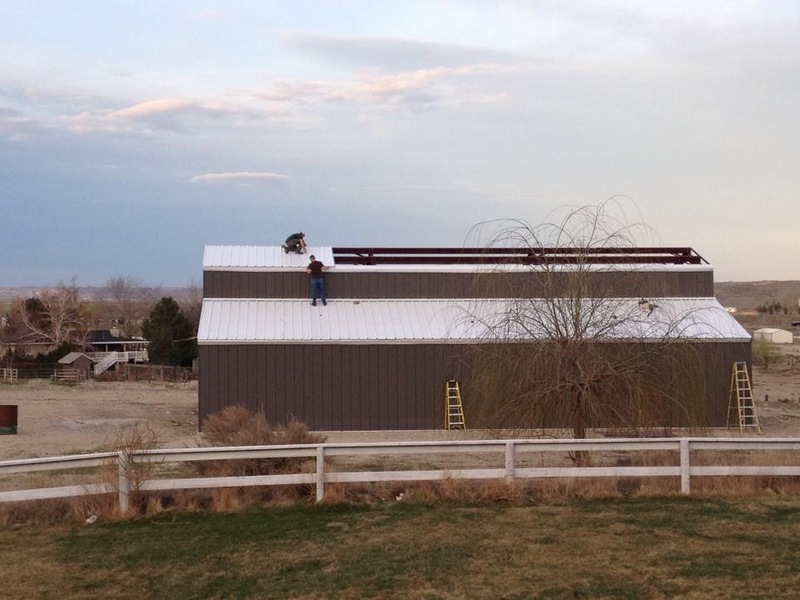 And soon, we anticipate Jeromy J. will be stepping into his completed steel building, his workshop, his dream. He’ll be tinkering with cars, he’ll be storing memories; he’ll be doing household projects to improve his life. 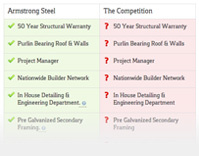 It hasn’t been a quick solution or a weekend project, but that doesn’t matter to Armstrong Steel. It’s not our job to rush the process, it’s our job to make sure the process is done right, every time. That’s the Armstrong commitment and we mean it.